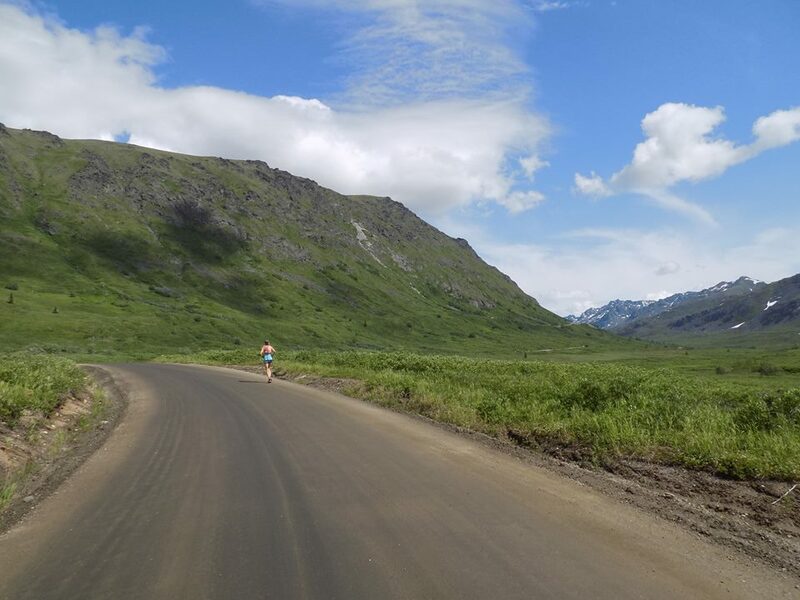 It’s summer in Alaska and the days are long and glorious. It’s light until around midnight now and even when it’s dark, it’s not truly dark. The twilight stretches out, dim and filmy, so that even at 3 a.m., you can see perfectly well, or at least well enough. 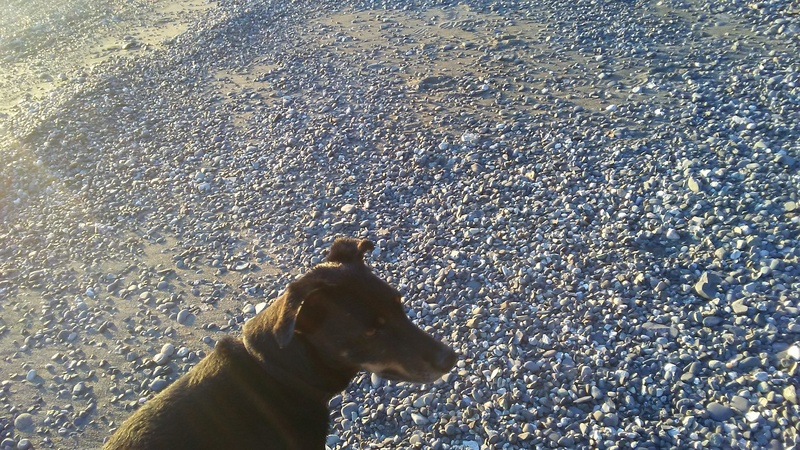 Earlier this week, we took an evening walk on the beach with Seriously. I love the evenings up here, when everything quiets and the brush and the birch leaves glow vivid green in the slanted light. I took these pictures around 10:30 p.m., the sky still light, the air feeling blue and warm and comforting. 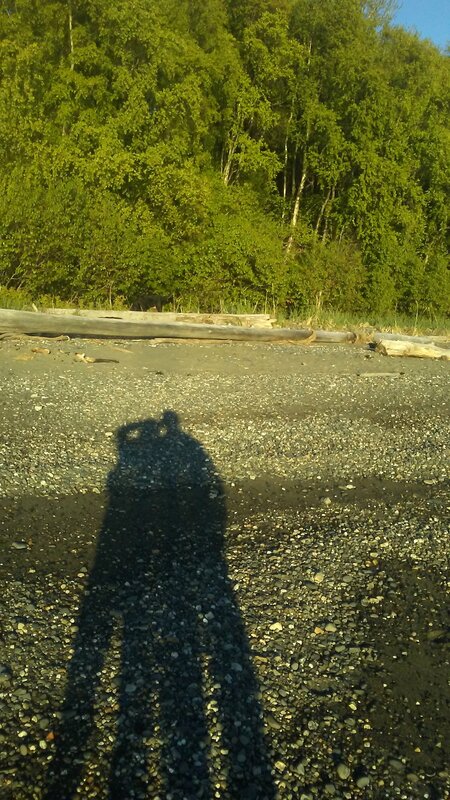 Shadow selfies at the beach. 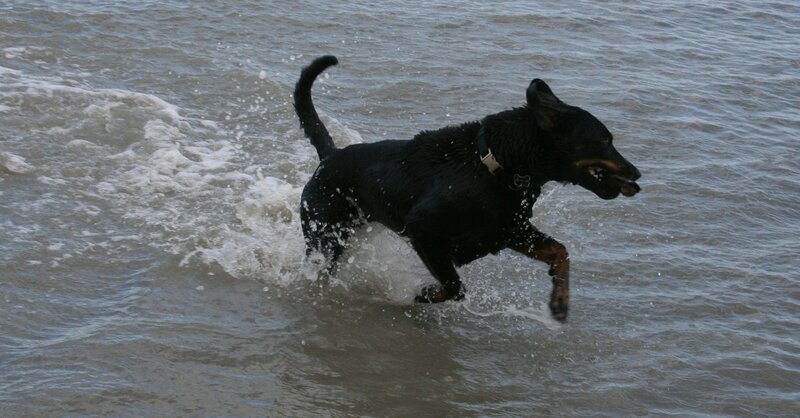 Seriously loves the beach. 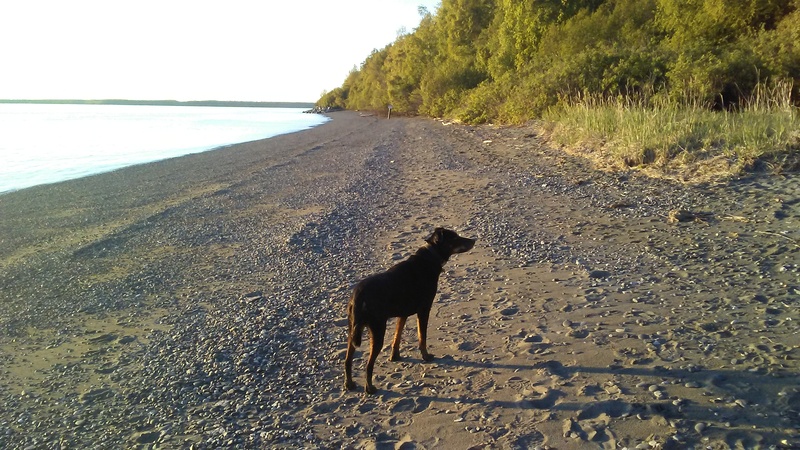 She used to live in Homer, with the woman we share her with (we co-own our dog, which is a great way of sharing the love), and sometimes I think that when she runs across the sand and leaps through the waves, it reminds her of the joy of her puppyhood. Look at the sun streaming over Seriously’s head. This was taken at around 11 p.m. So much light! 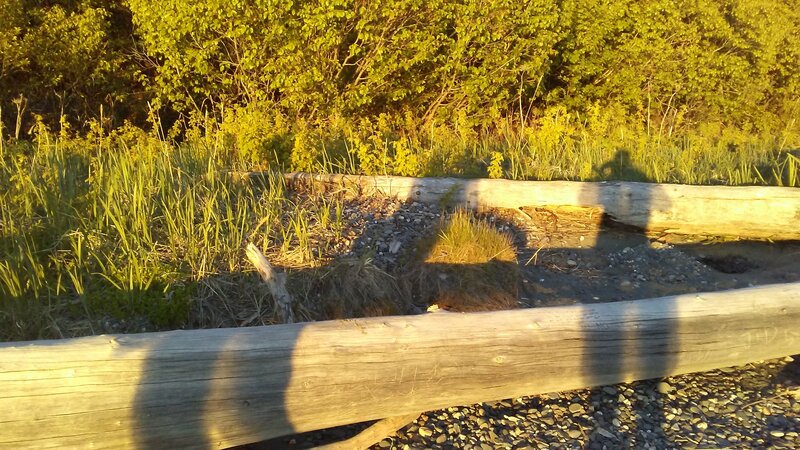 We walked the beach and sat on a large driftwood log and just, you know, let the late-evening sunshine bake our brains nice and happy, because sunshine isn’t always the norm around these parts so when we have it, we get out and enjoy the heck out of it. 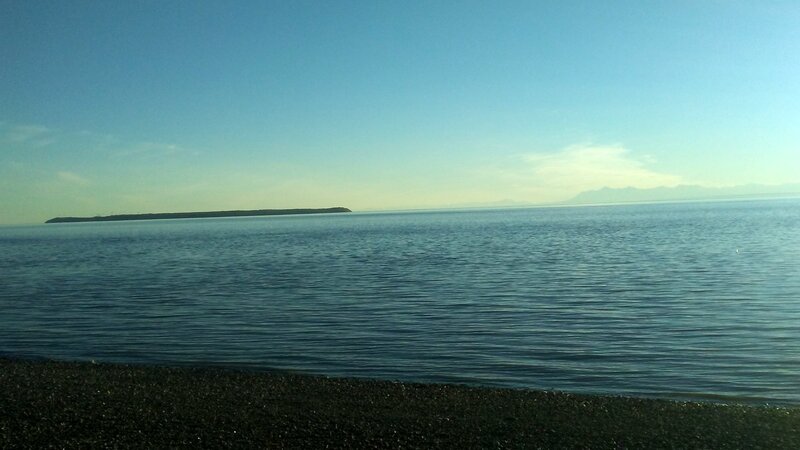 We saw a seal swimming in on the tide, though you can’t see it in this picture. Trust me, though–it’s there, somewhere. 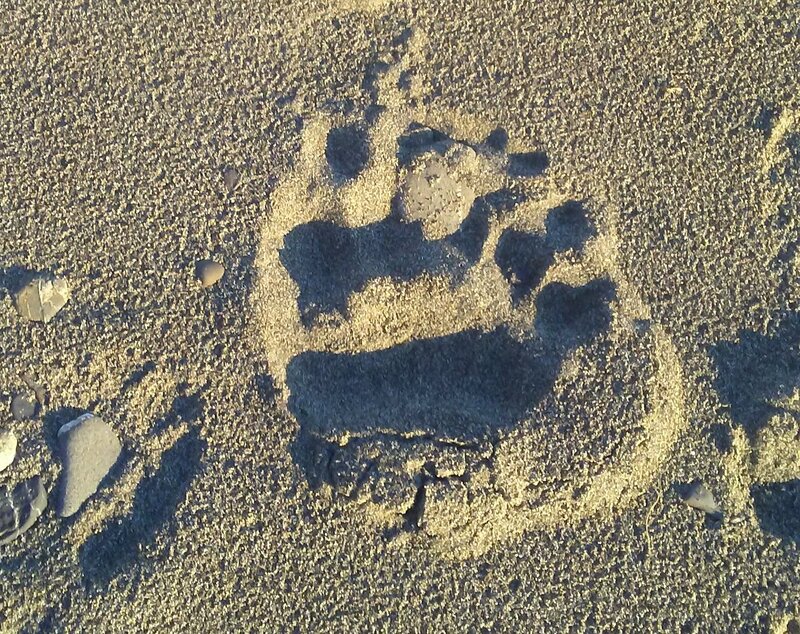 On the way back to the trail, we walked up on the soft sand and noticed this: bear paw prints, isn’t that cool? We walked the same path as what looked to be a mama bear and at least one cub. 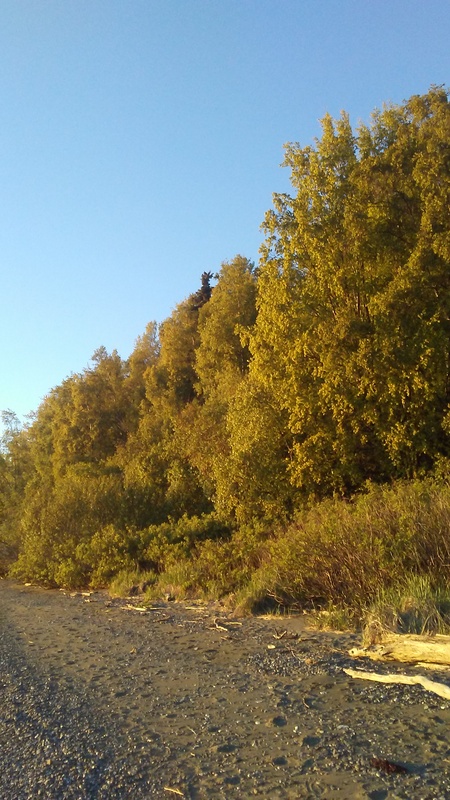 We also saw an eagle up on top of a spruce tree but since I only had my phone, and not my camera, you can’t really see it. The next day I pulled a muscle in back and spent the afternoon lounging in the yard and reading, which isn’t a bad way of spending one’s day. I’ve been reading like crazy lately, which feels good. Sometimes I spend waste too much time on social media and online news/magazine sites, getting upset about the plight of the world. Books are better. They’re deeper and truer and dig past the surface to the blood and guts of who we are. I suppose that’s why I love to read. I’m currently reading three books at once, which is what I often do. You’d think I’d get them mixed up, but I don’t. I appreciate them more for their individuality, and their separate storylines. P.S. Has anyone else read Godwin’s Violet Clay? I so love this book. This has to be my fifth reading, or maybe my sixth. I also love her Odd Woman, another truly great read. P.S.S. Tampa is a bit shocking but in an intriguing and well-written sort of way. I know what you mean if it wasn’t for the mosquitoes I would spend the entire night falling asleep while reading outside my cabin. Yeah, I forgot to mention the mosquitoes, hee, hee. 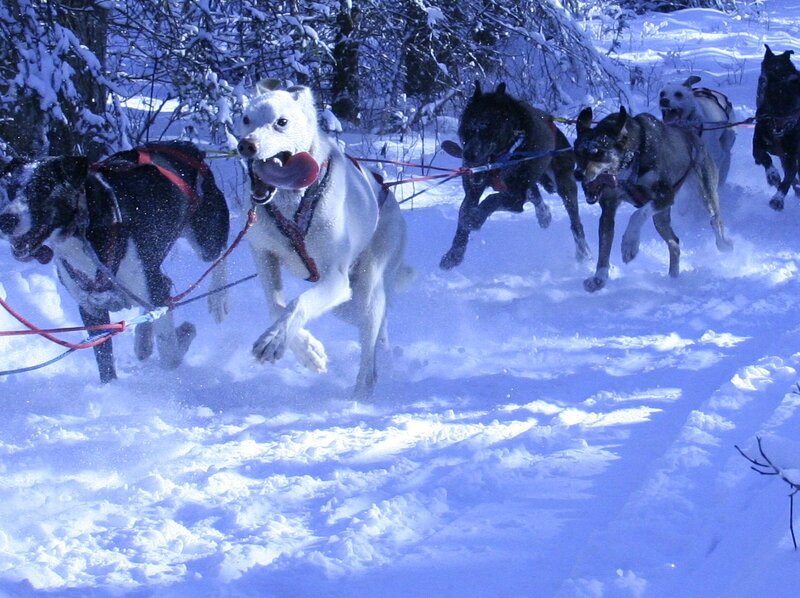 One of the negatives of Alaska life in the summer, eh? Still, long evenings are worth a few bites, though a couple of nights ago the damned things swarmed me and forced me inside. Hope you’re enjoying the summer. There is so, so much to enjoy. P.S. Happy reading, too. I am amazed at the light so late in the day. How glorious to enjoy such long days. I’d get so much done in that environment! The long days are glorious, Susanne, and we cherish them even more because we know that once winter hits, the days will become very, very, very dark and very, very, very short. Cheers and have a great week. Sounds sublime! 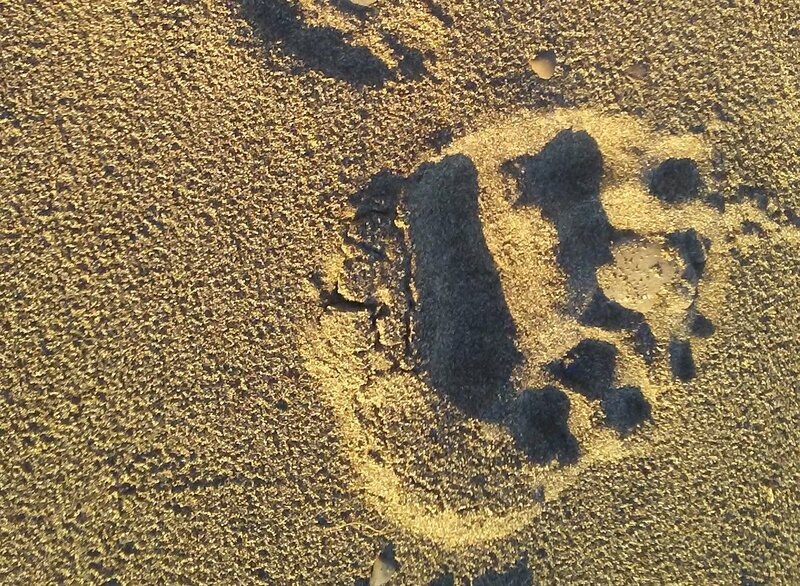 Though I’m not sure I’d be delighted to see bear prints on the beach … Happy summer to you, Cinthia! 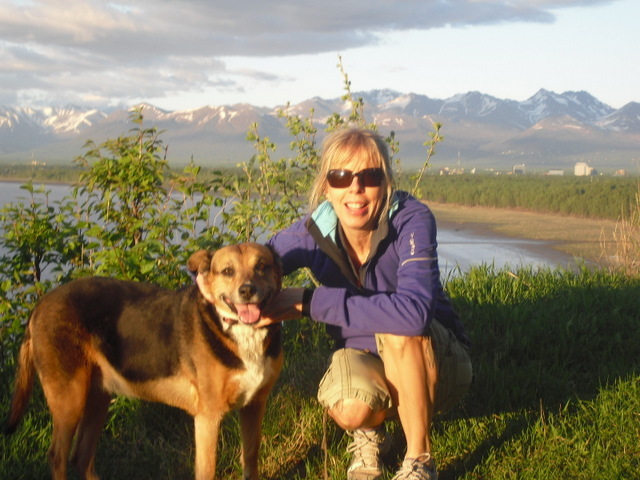 Trust me, you would be excited to see bear paw prints on the beach, especially if there were no bears around and you had your loyal dog with you (the one so fearless that she gives squirrels a head start before she chases them). Summer is surely glorious. Hope yours is going equally well (I do bet that you have more sunshine than we do, though much shorter days). Oh, good thing you all mentioned mosquitoes. 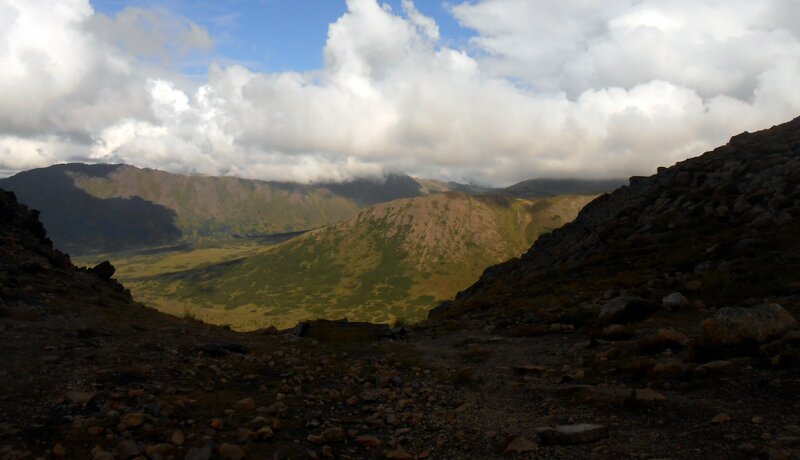 Because of your photos I was ready to pack up and move to Alaska! I’m beset with mosquitoes in Florida. They love me and so they make me miserable 😉 I have to admit, bear prints–especially a mama and her cub–would have flipped me out! Remember your essay in the NY Times?????????? I do not want to cross paths with a bear, not even their prints … lol. Years ago we did see a black bear literally cross the path we were hiking on at the St. Marks Wildlife Refuge. He (or she) was many, many yards ahead of us. The bear did look our way but didn’t break his stride. Of course, black bears are not aggressive like brown bears so we were tickled by the sighting. Sadly, it was the only one we saw ever again. The mosquitoes are horrid here this year, Marie. They dive bomb us each time we go out the door in the evenings. They even attack the poor dog. Hopefully they’ll let up in a few weeks. Spring is usually the worst time. But who knows, eh? I once read an article on mosquitoes and they are quite fascinating, at least biologically speaking. Still, I wouldn’t miss them if they suddenly disappeared from the face of the earth. Cheers and hope you’re having a mosquito-free weekend.